You sell it, we store it and we ship it. It's that simple! Your business can benefit from Xpedite Fulfillment's years of back-end fulfillment industry expertise from beginning to end. 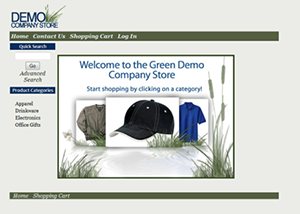 We will work with your own storefront, utilize ours or we can build a customized solution for you and your customers. From the moment the order is initiated, no matter if it is from the phone, online or a catalog, we will directly pack, ship, and confirm your orders via our online tracking and inventory management system. Your product’s size or quantity does not matter. Our vast fulfillment facilities have the space you need to strategically maintain your inventory. Our well-trained and prepared staff will choose each item carefully from the warehouse based on the order received and then pack for shipment. Each product and kit has an identity all of its own. Our Xpedite Team is educated on the exact method you would like us to follow to ensure the product is received by the customer exactly as you had hoped. Our team’s years of industry experience guarantee that we identify and utilize high-quality materials to ensure that your product is packaged and shipped safely and properly. Not every customer can be happy every single time. Or, at least that’s what they say! We say it different. We guarantee we work through your customer’s return processes until they are 100% happy! Our online capabilities, in partnership with those of these internationally renowned companies, will make for easy delivery and tracking of your order anywhere in the world. Xpedite Fulfillment has utilized USPS® since its inception. We have real-time, working knowledge of these systems to guarantee your complete satisfaction. Your orders from consumers or businesses could not be in better hands. We manage from start to finish! We have the experience, commitment and processes to ensure our partnership is a success. How can we help? Our friendly team of experts would love to hear from you.